With all the good Android news the past few days, I guess we were bound to get some bad news. This isn’t the worst news, but it’s a little disappointing. According to Android & Me, the next version of Android, which is apparently codenamed Honeycomb, will not be version 3.0, as orginally rumored. Instead it will be Android 2.4. It looks like Google is holding out for something big with Android 3.0. If we go back a bit, it was originally thought that Gingerbread was going to be Android 3.0, instead it turns out to be 2.3. Since then, we’ve all thought that Honeycomb would be the codename for Android 3.0. Now people are already wondering what codename Android 3.0 will take on. Maybe Jellybean or Ice Cream? Android and Me’s credible anonymous source doesn’t point to any particular reason for this. Everyone just assumed that Honeycomb would of been big enough to warrant a whole new version number. Honeycomb is being touted as the “Android for tablets.” It’s supposed to be the first version of Android to support tablet computing. We will know soon enough, Honeycomb is expected to be released in February, around the same time as the 2011 Mobile World Congress. With the list of keynote speakers all being CEOs, it makes sense that Google CEO, Eric Schmidt, will be there to announce the release. If that happens to be the case, then it looks like Google I/O 2011 in May. will be the most important event of the season. There are already rumors that Google has something big planned for upcoming I/O, could it be the Android 3.0? We’ll have to wait and see. 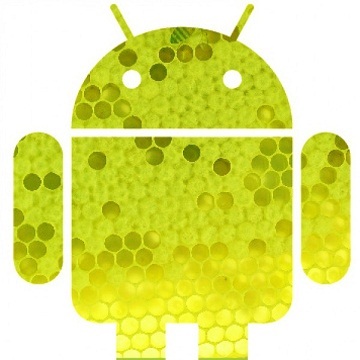 now we know for sure honeycomb is android 3.0 and not 2.4.